With 10 million Indians now on Google+, the newest social media platform, users are now seeking ways how best to use it. Archana Doshi is one such. Google, in its TV advertisement, chose to feature her story of running a successful recipe blog, that used its platform. Doshi, an engineer and a stay-at-home mom, is now getting ready to conduct live cookery classes on Google+. “I intend to use the Google+ Hangout (a multi-person video chat facility) in order to share my love of cooking with followers, who can also do the same,” says she. The idea to video chat with fellow enthusiasts popped when she first attended a Hangout. “It was really nice to see the people. It was so much more immersive,” she remarks. Doshi, however, isn't alone. Celebrities to IPL teams to small businesses to big brands — all seem to have found a way to engage with Google+. Luxury brand Burberry was one among the first to launch a Google+ brand page. Clever to realise the power of a platform supported by search engine Google, Burberry recognised the potential of integrating YouTube, rich photos and other multimedia for a social audience. Ahead of the IPL, celebrity profiles — especially of cricketers — seem a big draw, drawing humongous user traffic to the portal. Google+ has over 16 cricketers’ verified profiles, and a one-million strong cricket community in India, that too in just six months. “We have MS Dhoni, Virender Sehwag, Gautam Gambhir, Murali Kartik, Harsha Bhogle and Navjyot Singh Siddhu on Google+. Most share updates actively with followers,” says Lalitesh Katragadda, head, products, Google India. Katragadda highlights Hangout as a standout, hoping it would help the platform distinguish itself from others. “The power of video cannot be undermined as bandwidth gets better and better in India. That’s why I believe Hangouts, which connect up to 10 users with a face from a brand, celebrity or a local entrepreneur, is so dear to us.” Google believes the content (images, video, text) people post in their Google+ stream often serves as kindling for the kind of conversation Hangouts is perfect for. In order to facilitate, they have enabled the turning of any post into a live Hangout at the click of a button (with a 'Hangout' link). 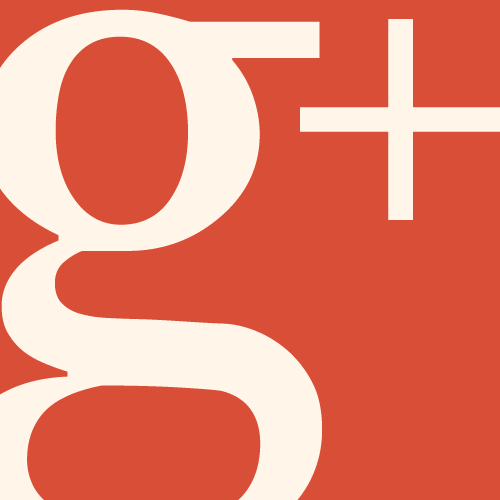 Another peculiarity of Google+ is Circles — a feature local entrepreneurs and retailers could put to use. It enables them to segment content and engage with key persons in the social media space. “When brands provide meaningful content to a core group, they are not only cutting on the white noise (that can happen with most broadcast-based strategies), but also encouraging users to engage with and share that content in their own circles,” explains Katragadda. The Circle gives firms the freedom to share what they want, to whom it’s most relevant, and when they want. Women Entrepreneurs on the Web (WEOW), an official Google+ page specifically created for Indian women entrepreneurs, regularly uses Hangouts and Circles to reach out. Among the 300 members, one Rupa Aurangabadkar has launched a design firm, Colorquill, and is currently working on a series of digital videos that show the steps of creating a mural. She will distribute them via her YouTube channel. Meghana Musunuri, another WEOW participant and founder, Fountainhead School, Hyderabad, has hosted Hangouts for students and parents from the school’s Google+ page. She is also using the page to post news, resources and recaps of in-person workshops.